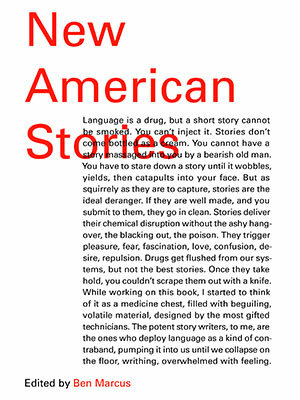 In New American Stories, finding less focus on plot and more on a new rhythm. At the turn of the 20th century, a well-made American story was one delivered in a straightforward style. O. Henry and Stephen Crane relied on suspense and tight construction to propel the reader along the story’s length. This method backgrounds the writer, foregrounds the tale. By the second half of the century all this had changed. There were four causes: the rise of the writing workshop, the sudden preponderance of writing students, the starved market for short fiction (gone was the Saturday Evening Post, gone was Collier’s), and the advent of TV. New thinking, as modeled by Eudora Welty and John Cheever and then apotheosized in the K-Mart realism of the students of Gordon Lish, proposed a different method of keeping the American reader turning pages: you made them feel through the characters, sympathize with characters – you made your characters into someone they might meet on the street, befriend, and gossip about. Incident was less important: what was more important was that you made them see themselves in someone with a very different life. This method backgrounds the writer, foregrounds the character.